The more Facebook friends teenagers have, the more likely they are to be stressed or suffer from depression, according to a new study led by researchers from the University of Montreal. The study’s findings are the latest in mounting research that suggests social media use can have negative effects on mental health, particularly with teenagers and children. Over 80% of teenagers between the ages of 12 and 17 currently use social media, with Facebook being one of the most popular social networks. For the study, researchers recruited 88 teenagers between the ages of 12 and 17. Slightly more than half were female. The teenagers were questioned about their social media use, including how often they used social media, how many friends they had on Facebook, and what behavior they engaged in on social media sites. The researchers also had the teenagers provide cortisol samples. The samples were provided four times a day for a total of two days. Cortisol is a stress hormone that rises when someone is stressed, scared, or frustrated. High cortisol levels increase someone’s risk of developing depression. The study found that the more Facebook friends a teenager had, the more likely they were to be stressed out and at risk for depression. 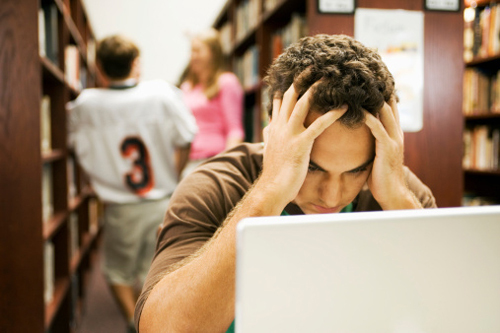 Teenagers with more than 300 Facebook friends had higher cortisol levels. The researchers believe that the risk could be even greater for teenagers with more friends. Researchers noted that higher cortisol levels were not entirely due to Facebook and social media. However, they were able to determine that social media did have a significant effect. “While other important external factors are also responsible, we estimated that the isolated effect of Facebook on cortisol was around eight per cent,” said Lupien. While the researchers did not find any of the teenagers to suffer from depression, they noted that the teenagers were more likely to develop the condition due to their cortisol levels. High cortisol predisposes them to develop depression later on in life. “Some studies have shown that it may take 11 years before the onset of severe depression in children who consistently had high cortisol levels,” said Lupien. However, the research did find that certain social media behavior was associated with lower cortisol levels. Teenagers who “liked” posts from their friends and sent encouraging words on social media were more likely to have lower cortisol levels. These findings could mean that teenagers could keep from being stressed out by using social media positively and engaging with their friends. The findings of the study suggest that social media can stress teenagers out, but that the effects could be prevented in certain circumstances. Further research will be needed to explore the connection between social media and mental health. “We will need to undertake future studies to determine whether these effects exist in younger children and adults,” said Lupien. “Facebook behaviors associated with diurnal cortisol in adolescents: Is befriending stressful?,” Psychoneuroendocrinology web site, November 18, 2015; http://www.psyneuen-journal.com/article/S0306-4530%2815%2900938-5/abstract. Murgia, M., “Too many Facebook friends makes teens stressed, study finds,” The Telegraph web site, November 18, 2015; http://www.telegraph.co.uk/technology/facebook/12002494/Too-many-Facebook-friends-makes-teens-stressed-study-finds.html.